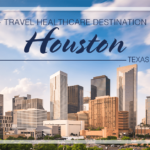 A healthcare traveler who loves history will find a number of idyllic destinations throughout the U.S. for exploring their passion – and, perhaps even land a travel job there for easy access to all of the historic delights the city has to offer. America’s capital city is a paradise for history enthusiasts, with countless museums that exhibit artifacts and art from every era in the nation’s history. 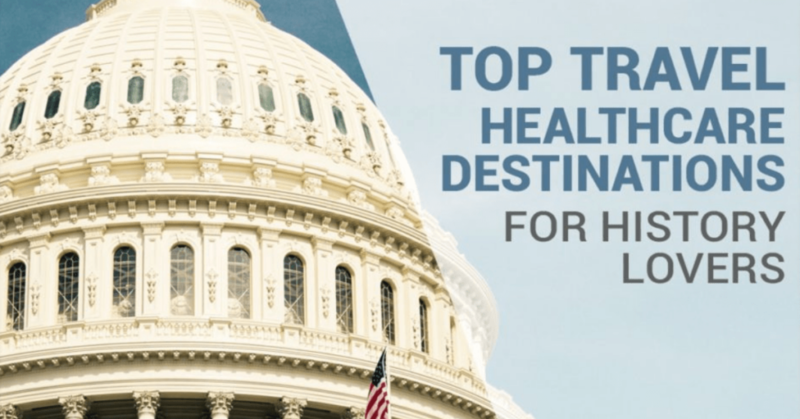 Washington, DC boasts nearly 60 museums and galleries, along with 74 historical landmarks that include impressive government buildings, the homes of politicians and military facilities. Odds are, you’ll want to extend that allied traveler assignment, because it would take years to explore everything that’s here, from the Smithsonian Museums to the National Mall, visits to the White House and so much more. In the City of Brotherly Love, Ben Franklin’s influence can be seen around practically every corner, like the Independence Hall where the American statesman and scientist and other colonial leaders met and wrote both the Constitution and the Declaration of Independence. A travel job here brings the chance to get up close to the famously cracked Liberty Bell and provides plenty of time for exploring the exhibits at the Benjamin Franklin Museum as well as the National Constitution Center, a multimedia, interactive museum where you’ll learn why all of this history still matters so much today. During your assignment, don’t miss the chance to join one of the Independence After Hours tours that provides an in-depth look at Independence Hall and also features an appearance by “Thomas Jefferson” and dinner at the 18th-century City Tavern. Of course, sampling one of those famous Philly sandwiches is a must here for healthcare travelers of all types as well. Want to learn more about allied travel jobs? Start here. Saint Augustine is North America’s oldest continuously occupied European settlement. It was founded shortly after explorer Don Menendez de Aviles landed here back in 1565, and many of the original buildings are still standing today. 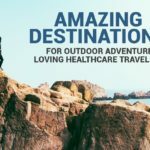 Healthcare travelers can look forward to following his footsteps at the Fountain of Youth Archaeological Park, where he came ashore, and visiting magnificent places like the historic city gate, Castillo de San Marcos and the Plaza de la Constitucion. Of course, the city is also an ideal spot for beach lovers, with many gorgeous stretches of sand nearby. One of the more obvious spots for a travel job with history benefits is the birthplace of the American Revolution: Boston. It’s a city of American firsts, boasting the country’s first library, first public park, first public school and the first subway system too. Spend time strolling the Freedom Trail, lined with many iconic landmarks you’ve read about in school, including the Old South Meeting House and the Old North Church. Just think, you’ll be walking the very same cobbled streets as the puritans and revolutionaries once did. A travel job in Beantown also means easy access to many outstanding day trips, with both Plymouth and Salem less than an hour’s drive away. The village of Plymouth was founded in 1620, and is famous as the site of the Pilgrims’ landing and the home of Plymouth Rock. It also hosts a full-scale replica of the Mayflower and a fascinating living history museum, Plimouth Plantation, where you’ll see the area just like it was back in the 1600s and even interact with characters from the period. The oldest continuously operating museum in the entire country, Peabody Essex Museum, opened its doors in 1799 and can be found in nearby Salem. Of course, the city is also the site of the infamous Salem Witch Trials and the House of the Seven Gables, the birthplace of 19th-century novelist Nathaniel Hawthorne, built back in 1668.